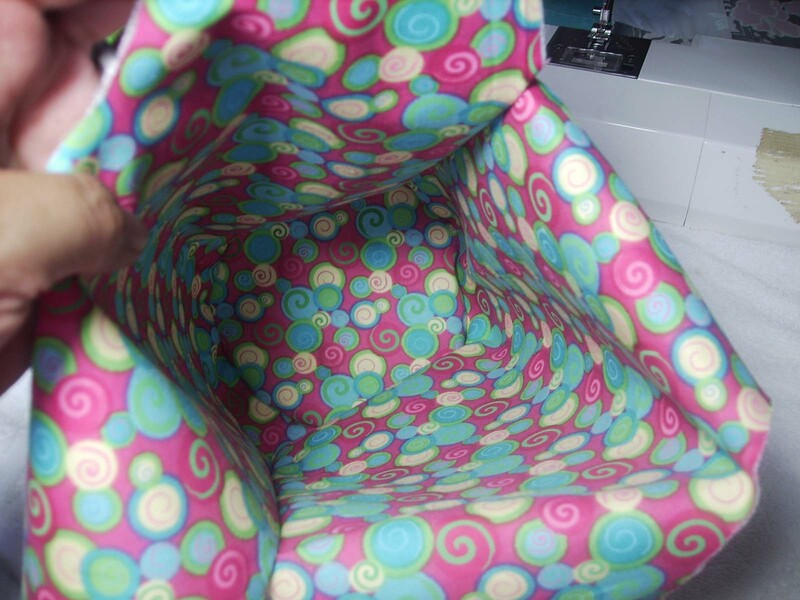 Yesterday, we got the circle shaped bottom of the bag sewn into the purse tube of the Japanese Knot Bag. Here are the results with the extra piping added in for some fun. 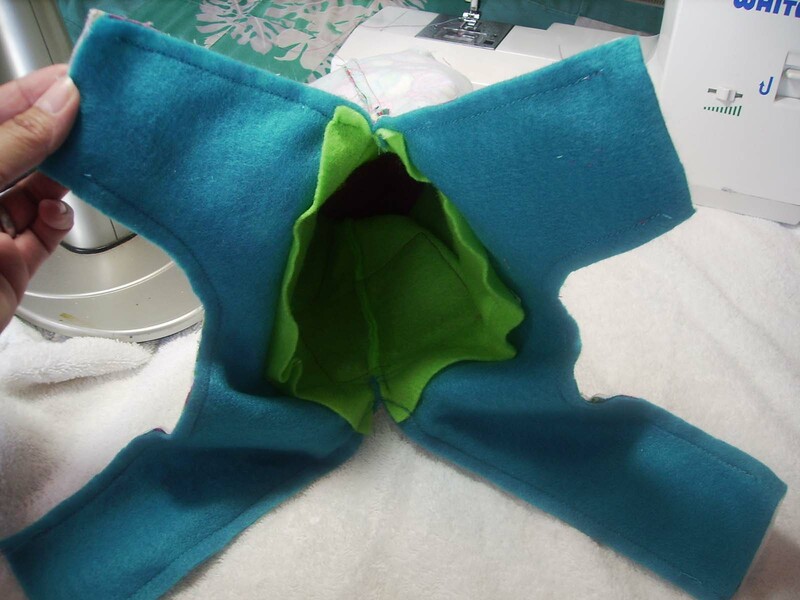 Now that the circular bottom is sewn on, the outer shell of the purse is done, for now. 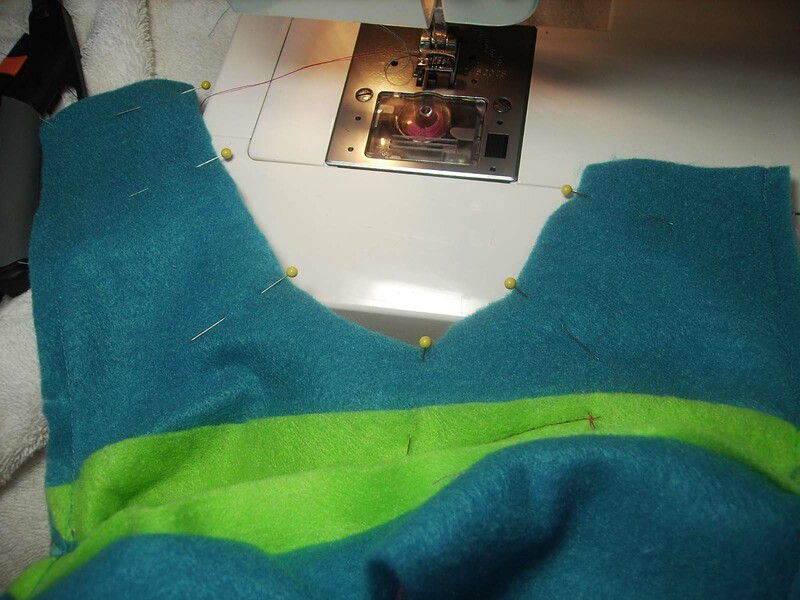 The next stop: sewing the inner lining. 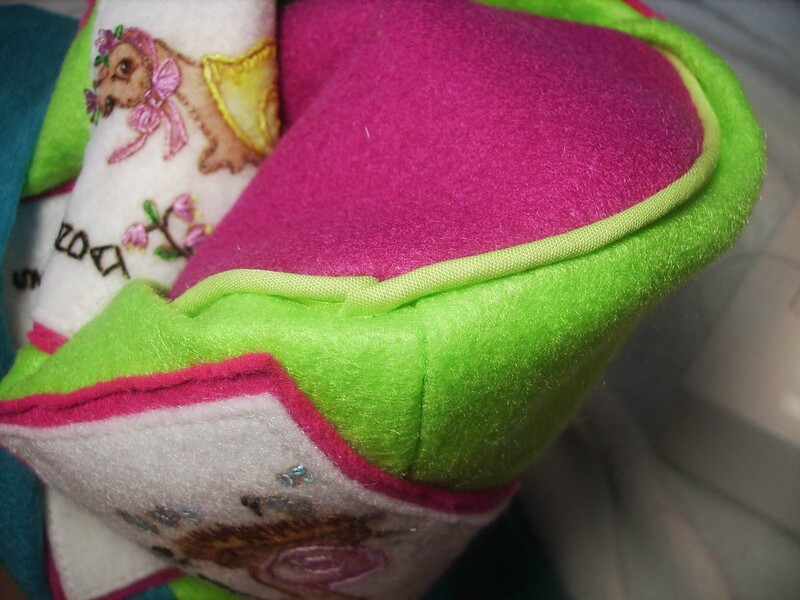 Fortunately, the inner purse is made from the exact same pattern as the outer purse and follows the exact same construction. 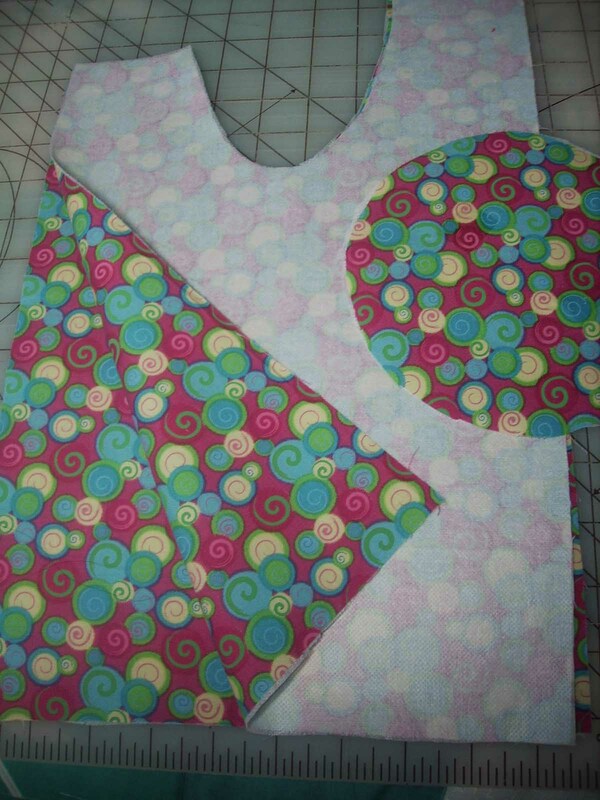 Here are the sides, placed together right sides facing. See where the pins are? I placed my pins at the “join in the paper pattern”. 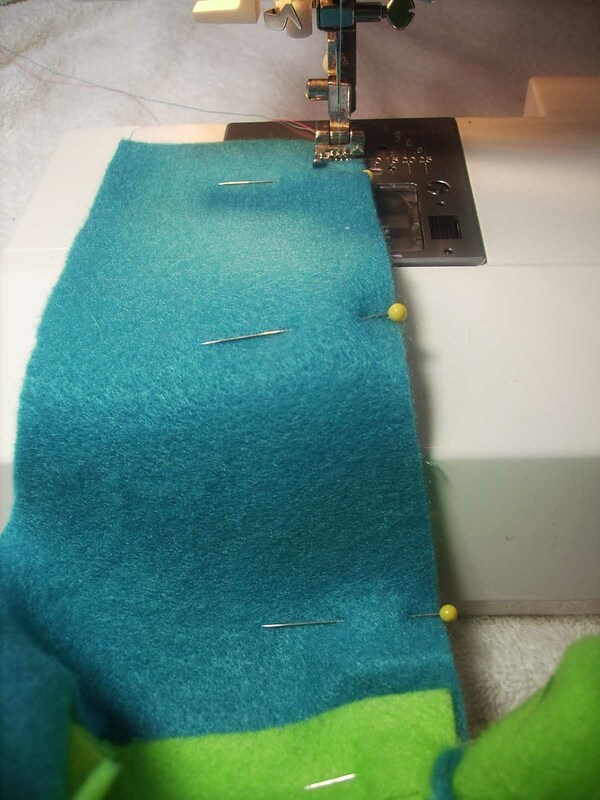 Now, we sew from there down to the bottom for the side seam. 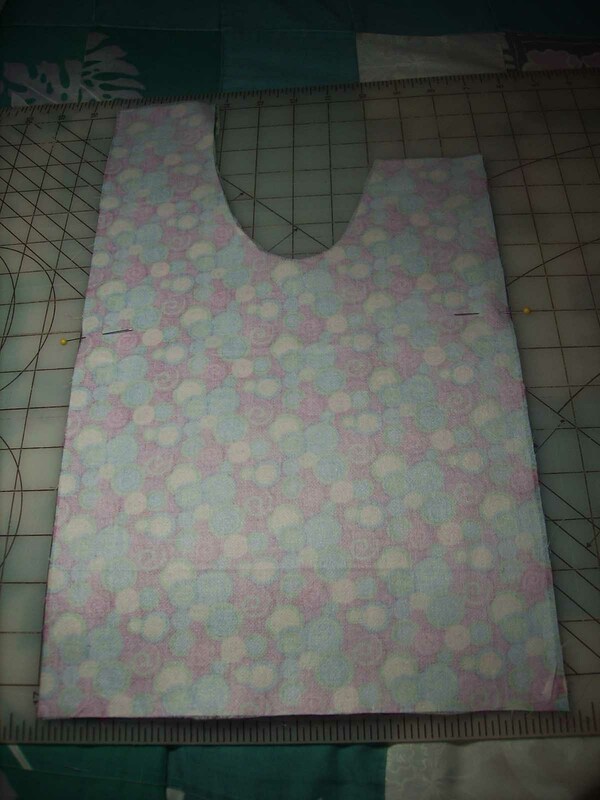 This will leave the handles are flappy and unattached just like out outer purse fabric. At this point we have an exact replica in shape, form and construction of the outer purse. Whew! Well, of all the ‘steps’ this one is a handful! Let’s see what this looks like bit by bit. It is here that we encounter some tricky little glitches in the construction. We want to match up the fabric for the handles. 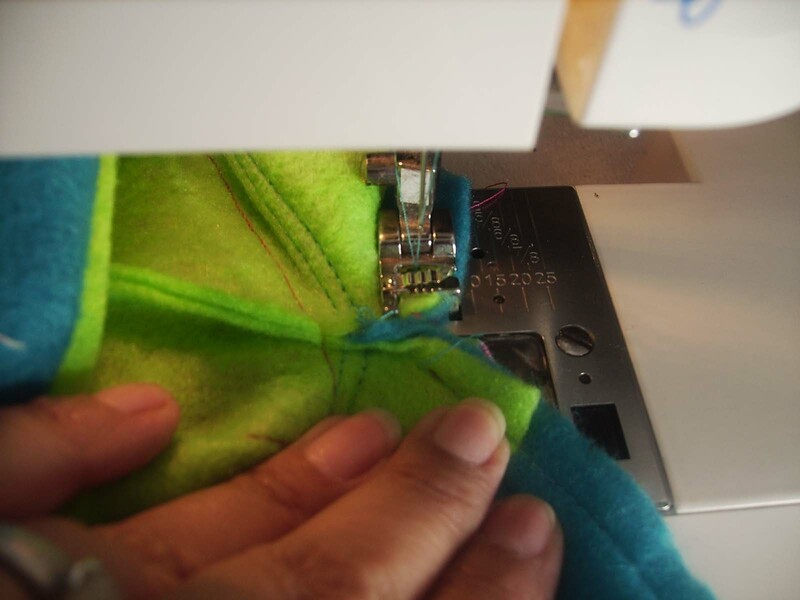 Let’s do the side of the handle that requires us to sew toward the side seam. This side of the handle is the trickiest of the set. Here you can see how they match up. I don’t like to pin on too many pins. 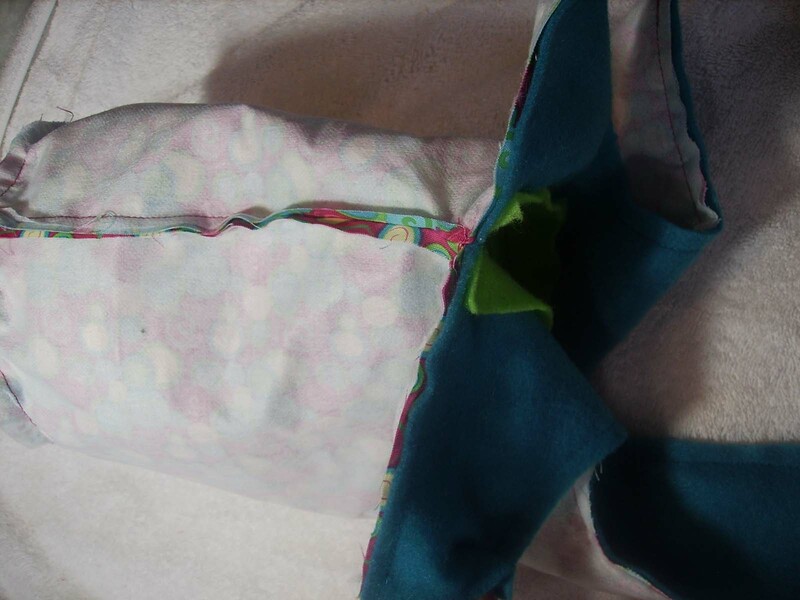 If you get the corners to match, set a pin, get the side seams of the purse to match, set a pin on either side of the seam, and get at least one ,maybe two, pins between those two spots, you will have enough ease to help you sew in a neat, tidy seam. 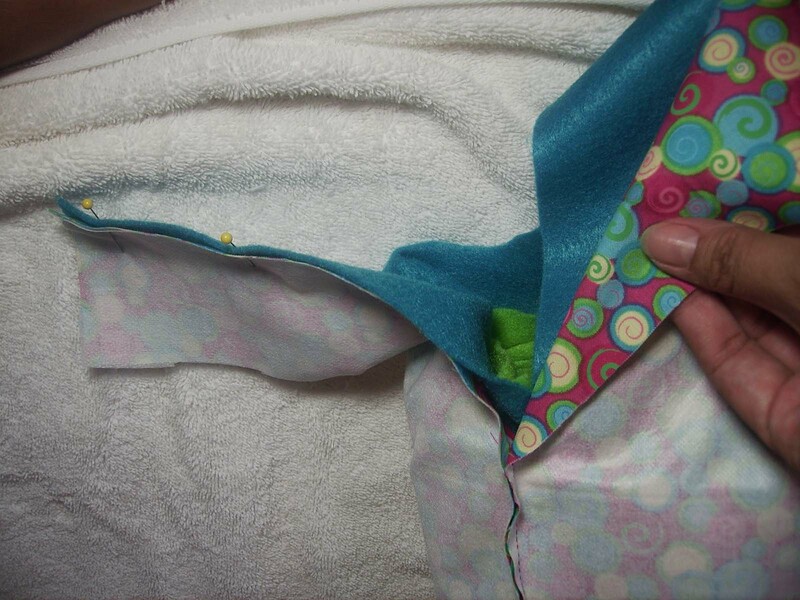 “sew the outer fabric and the lining together along the sides of the handles, leave the tops of the handles unsewn.” We start at the top of one handle, on the side that we just pinned. 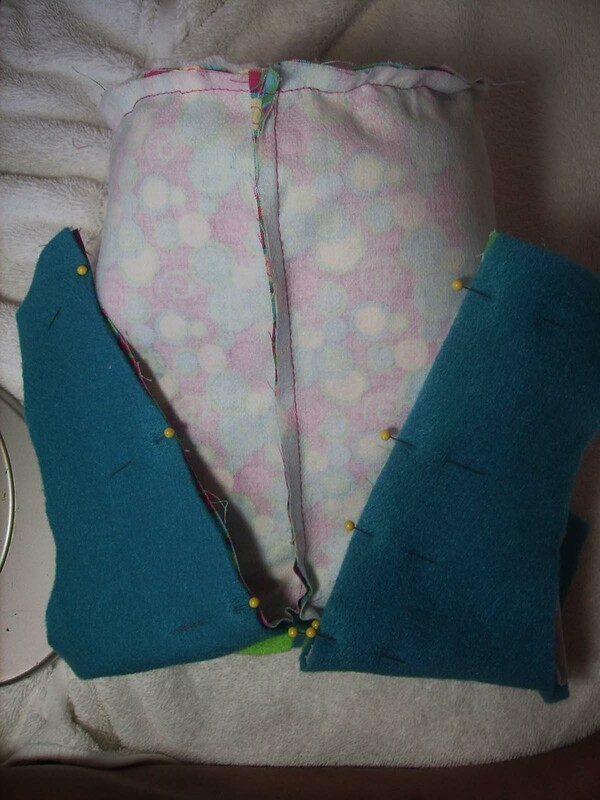 I like to use the foot to gauge my seams so here you can see I’ve lined the right edge of the fabric up to the right edge of the foot. (I don’t run over my pins by the way. I pull them out as I come to them.) 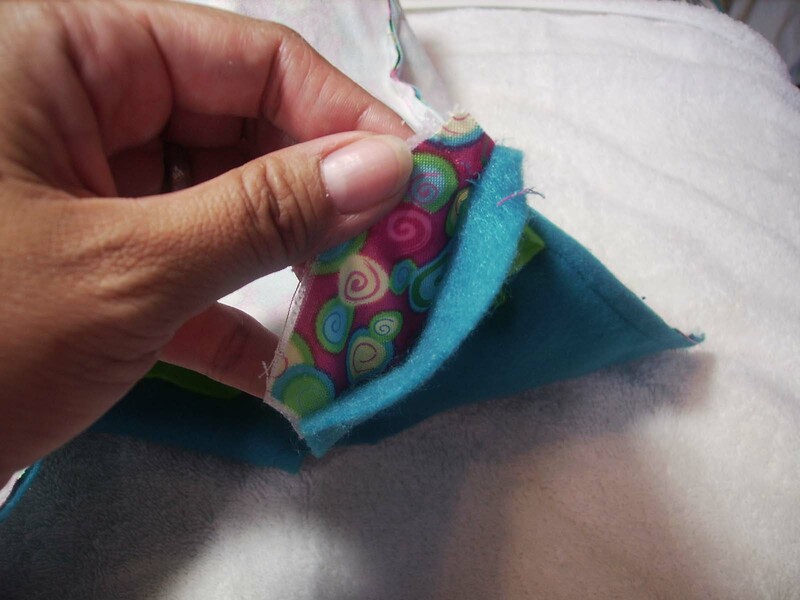 Sew down this straight way until we get to that tricky side seam. Leave the first 1/4 in. UNsewn at the top. 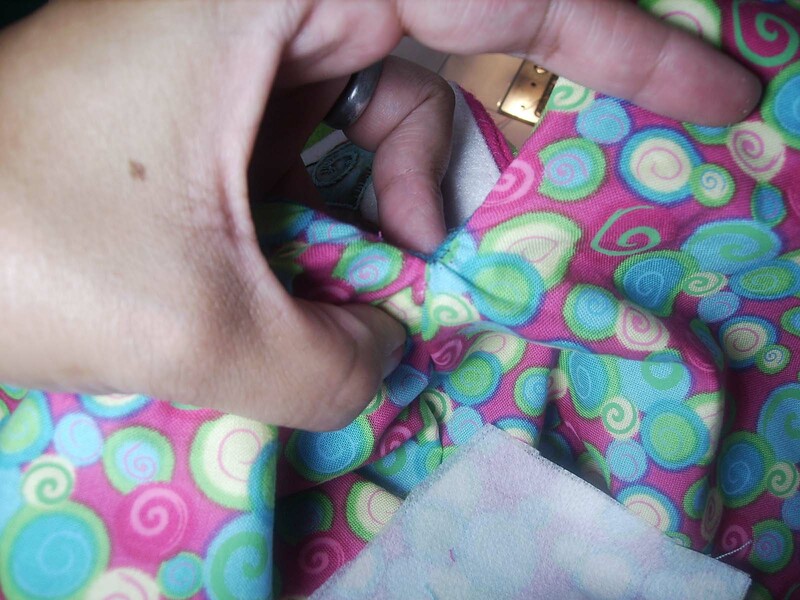 As we approach it, notice I have to use 4 fingers to keep the fabric in place. 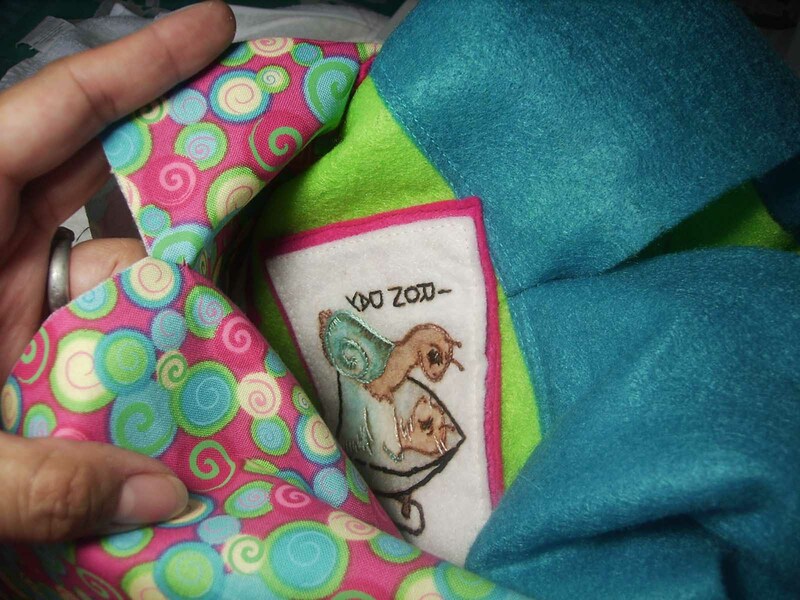 I pinch the fabric that is being fed under the foot with my pointer and thumb. 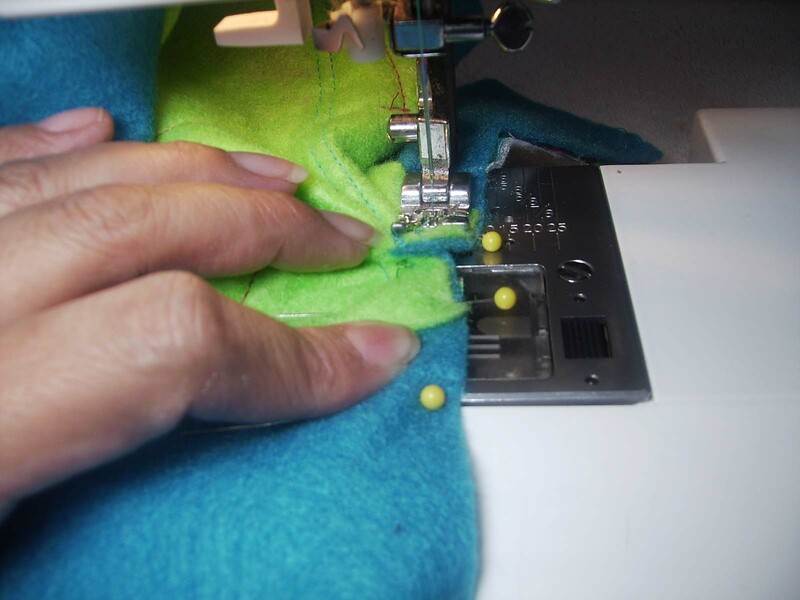 This keeps a certain ‘tension’ on the fabric as it feeds into the machine. 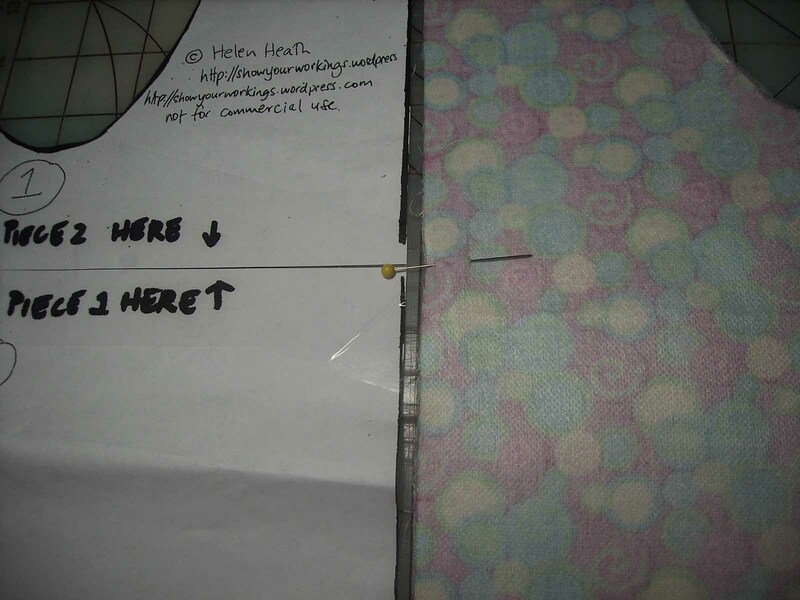 Here you can see the ‘imaginary’ seam line it passes the ‘gap’ of that tricky side seam. 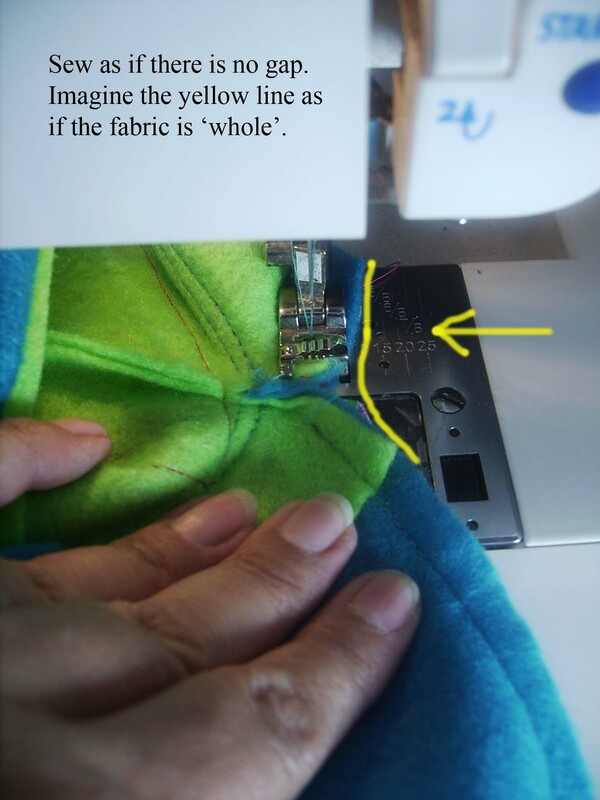 If we ‘imagine’ that to be the seam line and connect the blue section to the upcoming blue section, then we will sew, over the gap and go on. 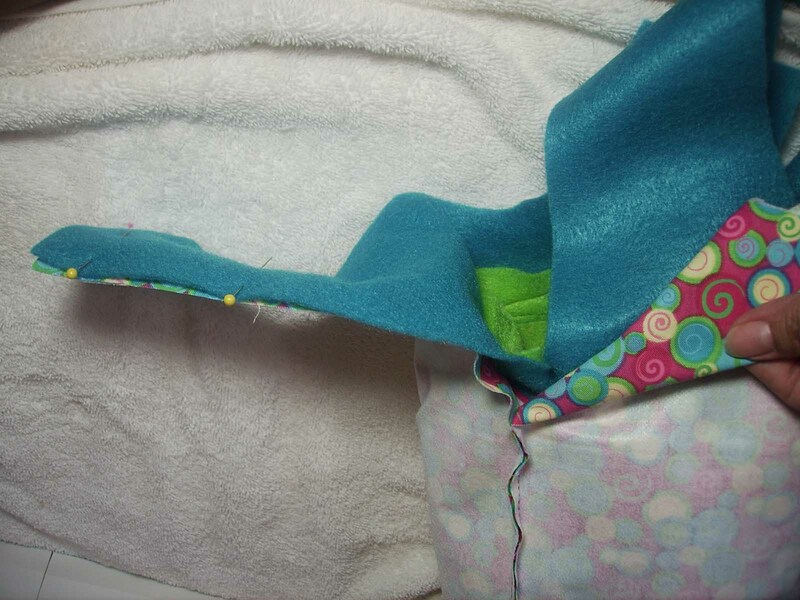 Sew over that gap and up to the other end of the handle. Leave the last 1/4 in. of the handle UNsewn. 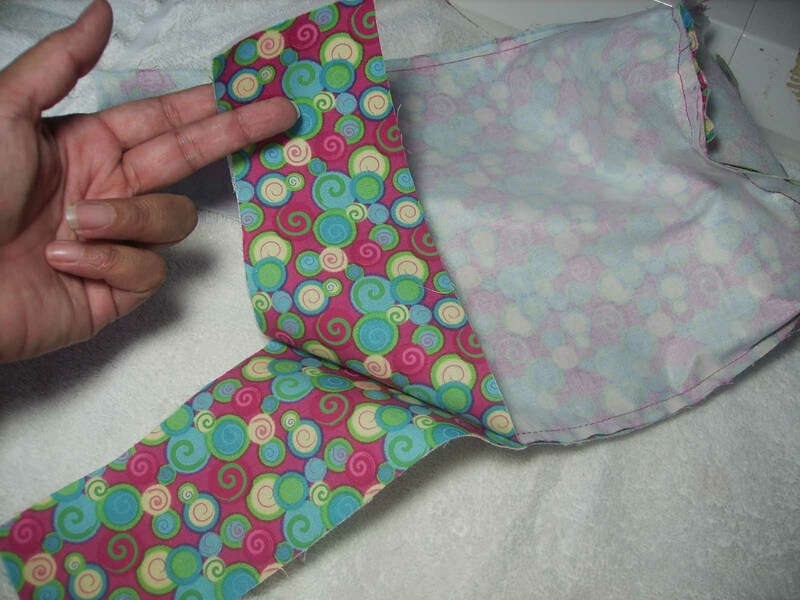 Now that the side seams of the handles are done, we just have to finish the other seams of the handles. 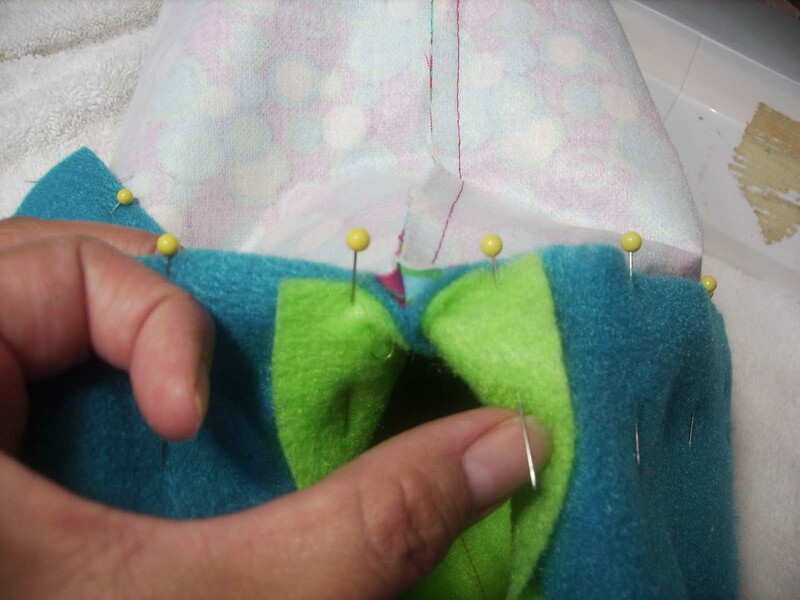 Again, match the corners on both sides, place pins, then match the center ‘dip’ there where the dip is at the lowest, place a pin, then match add one or two pins between those guide pins to ensure ease matches up for a tidy, neat seam. Again, leave the first and last 1/4 in. UNsewn. from the bottom… Well, it’s done. It’s just INSIDE OUT! dear god thank you ive been trying to get this right its like a huge secret.cant find how to finish off though?? ?